Rats can be detected by their droppings or evidence of fresh gnawing. Tracks can be seen in mud and on dusty surfaces. Burrows and runways may be found next to buildings, along fences, and under low vegetation and debris. 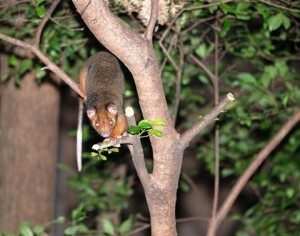 Appearance: Brown, heavy-bodied, six to eight inches long; small eyes and ears, blunt nose; tail is shorter than head and body; fur is shaggy; droppings are capsule shaped. Reproduction: Reaches sexual maturity in 2 months; can breed any month of the year; litter may number from 8 to 12; females can have 4 to 7 litters per year; adults live as long as 1 year. 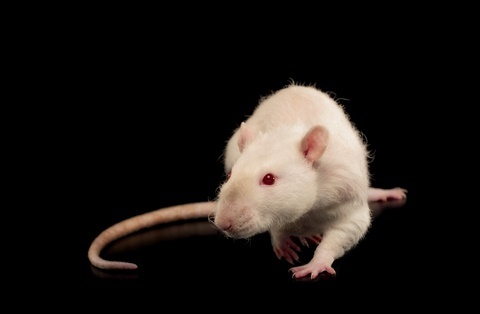 Other Information: Most common rat in the United States; limited agility, but excellent swimmer; carrier of many serious diseases. 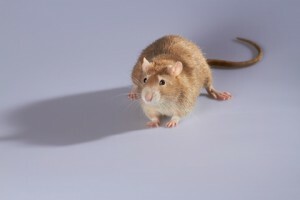 Appearance: Black or brown, 7 to 10 inches long, long tail and large ears and eyes, pointed nose; body is smaller and sleeker than the Norway rat; fur is smooth. Habits: Nests inside and under buildings or in piles of rubbish or wood; excellent climber; can often be found in the upper parts of structures. Diet: Omnivorous, but prefer grains, fruits, nuts and vegetables. Reproduction: Becomes sexually mature at 4 months; 4 to 6 litters per year; 4 to 8 young per litter; live up to 1 year. Rat infestation can cause serious damage to your home.